Back by popular demand, we will reconvene our discussion on Intersectionality and Intercultural Intelligence as essential skills towards advancing equitable practice and more successful design outcomes in the built environment. Stay tuned for Workshop Panelists in the coming weeks. We will also bring out the Intersectionality Role Plays scenarios to hone our skills for greater understanding. Intersectionality—a theory by renowned civil rights expert and law professor Kimberlé Crenshaw that social categorizations such as race, class, and gender interconnect and create overlapping and interdependent systems of disadvantage—is a fundamental framework for rethinking and redesigning power structures after #MeToo. Intercultural Intelligence - Intercultural intelligence, or ICI, is a term that is used for the capability to function effectively in culturally diverse settings and consists of different dimensions (metacognitive, cognitive, motivational and behavioral) which are correlated to effectiveness in global environment (cultural judgement and decision making, cultural adaptation and task performance in culturally diverse settings). This 1.5 hour session will be learning about the evolving mindset of intersectionality and intercultural intelligence in advancing equitable practice. We will explore the theory of intersectionality and understand its importance in disrupting bias and the erasure of complex identities - (ie., mixed race, transgender/gender queer, etc). We will also learn about the theory of intercultural intelligence, which creates a framework for developing understanding, empathy and importance of understanding the complexity of culture in a context beyond race/ethnicity. We will shape the session around relevant storytelling of intersectional identities and then have a workshop Role/Play to directly explore how intersectionality and intercultural intelligence can inform equity activism, encourage dialogue, and promote inclusivity. We have come so far in our journey, yet we must go farther; our work is far from done. Working towards a just, equitable, diverse, and inclusive profession is a marathon, not a sprint. Each of us has an integral role to play: sharing our stories, advocating for our values, and paving a new path forward to shape the future of architecture. Together we are stronger. Will you join us? Register as soon as possible as we historically sell out within 4-6 weeks after registration opens. #EQxDV - Pre-Symposium Workshop "AIA Guides to Equitable Practice"
As a special #EQxDV Pre-Symposium Workshop - We are offering an additional session prior to the Symposium. Please note that registration is separate from the 11/3 Saturday Symposium programming. So, you don’t have to be signed up for #EQxDV to register for this event. Those who are attending on Saturday and arriving early are encouraged to register for this additional event. Are you interested in building a more equitable workplace, but unsure of how to start? Do you have expertise on an equity issue that could benefit others? Join us to learn how to leverage the AIA’s new Guides for Equitable Practice to transform your career and your firm! Participants will gain hands-on experience exploring key concepts addressed in the first release of the Guides, including assessment techniques and actionable strategies for improving workplace culture, promoting cultural competence, mitigating implicit bias, and achieving pay equity. Together, we will collaborate to devise implementation strategies at multiple scales, and to imagine the possibilities for their use by current and future leaders at all levels of practice. Based on the recommendations from the AIA Equity in Architecture Commission Report, the guides will provide architects and firms with guidance on best practices in equity, diversity, and inclusion principles, and how those values can be a part of any architectural practice. They will address such issues as career progression, work culture, leadership development, pay equity, talent recruitment and more. Topics under work culture include attention to specific areas such as professional ethics and sexual harassment. Lunch will be provided prior to the workshop. From this session, participants will evaluate content clarity and practicability and surfacing critical issues that have yet to be addressed. From this session, participants will understand the overall structure of the guides as a resource to advance equitable frameworks to apply to professional practice. Everyone is welcome to attend our programs. You do not need to be an AIA member to register, but you will need to create an account on the aiasf.org website here (you will need this to sign up for all AIA events); AIASF members will automatically have a profile on the AIASF website. You do not need to be an AIA member to register with the website or to attend events - everyone is welcome. While logged into your account, complete your registration by clicking the "register" button at the top right of this page. How does architecture impact the social fabric of our communities, and how does equity influence outcomes? Hear from a panel of architect champions who are pushing the boundaries of social and cultural concern - Michael Ford, Katherine Darnstadt, Garrett Jacobs moderated by Rosa Sheng, FAIA . They'll discuss design as a problem-solving tool and explore how your work can affect the social structures of communities everywhere, creating measurable and practical effects on how people interact and experience community. By considering equitable access, you can reshape the way people experience public space and, by extension, public life. Join us for a revealing conversation about how you can be a catalyst for solving shared challenges, driving social change, and fostering engagement. Thank you for your interest. Please check out our programming for the rest of the year! Equity by Design is please to announce its 4th Hackathon will be held at Syracuse University's Fisher Center in New York City. while different in scale as Practice development, engenders similar goals of wellness for present generations, openness to embrace diversity and evolving demographics, and a pledge towards sustainability for the future by taking bold steps, together, and today. As one of the most anticipated workshops in the past four years, the EQxD Hackathon is a unique experience that is essential to building our skills as designers. Based on the Silicon Valley phenomena and emergence of Design Thinking the workshop is hands on, action-oriented, inclusive and teaches the process framework. Groups of thought leaders, licensed architects, and emerging professionals will assemble in an incubator-like setting to learn and apply radical thinking towards transformational concepts for improving Justice, Equity, Diversity and Inclusion in Architectural Practice and the Communities we serve. Teams will present their Hacks to industry experts and the winning concepts will be presented at the Happy Hour immediately following. passion with talent and suspend fear. It’s an experimental environment with a broad and diversely experienced group that's ripe for risk taking and leads to transformational results. Time is a fascinating influence in Hackathons. Perhaps an irony we are nostalgic about is that more time equates to better results. Discard that – we are not looking for perfection. We are looking for bold innovation in the here and now. Wednesday, June 20, 2018 1:00-5:00pm for Hackathon Workshop and 5:30-7:30pm for Happy Hour Reception and Winners Announcement. Thanks for your interest, unfortunately the event is sold out and we can't accept any additional people due to space limitations. Please check out the other programs for EQxD at A'18 and in the Fall. Each one of our Panelists has a story to tell about an experience that took them to that place just outside of his or her comfort zone. That’s why they are perfect to collaborate as Jurors for the Hackathon. They share a passion for working on “firsts” and not being afraid to find the path (or the support network) to move from idea to realization. 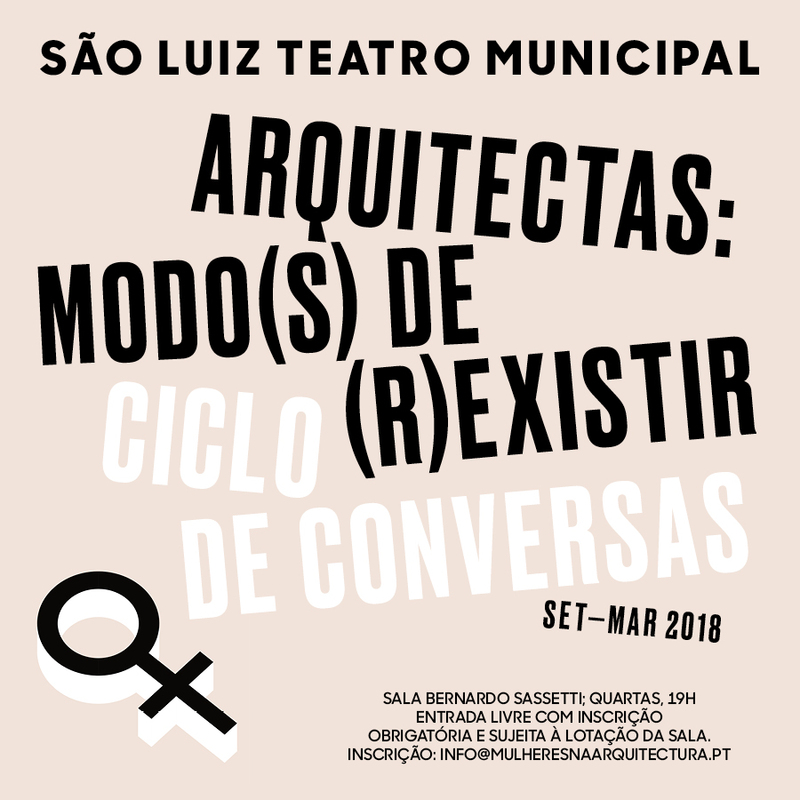 Our panelists will also serve as jurors who are diverse by design, thereby representing a collective and multivalent discussion informed by gender, cultural background, role in AEC industry, and years of experience. Katherine Darnstadt is the founder of Latent Design, a progressive architecture, urbanism, and interiors firm leveraging civic innovation and social impact to design more equitable spaces and systems. Since founding her practice in 2010, Katherine and her firm have been published, exhibited and featured widely, most notably at the International Venice Architecture Biennale, Core 77 Design Awards, Architizer A+ Awards, Chicago Ideas Week, NPR, American Institute of Architects Young Architects Honor Award winner, and Crain’s Chicago 40 Under 40. She currently teaches at Northwestern University. As Head of Global Diversity & Inclusion at Autodesk, Daniel is working to integrate all dimensions of diversity and includsion into many parts of the organization, inclusing customer acquisition, recruitment, hiring, people development, advancement, investment, and acquisition. He also is interested in the application of people analytics and passionate about the integration of diversity into the development of Artificial Intelligence. Daniel studied at Stanford University, Universite de Paris, and Chemnitz University of Technology in Germany. Emmanuel Oni is an architectural designer interested in using design as a catalyst for social change, and has experience in the arts as a painter and arts facilitator. 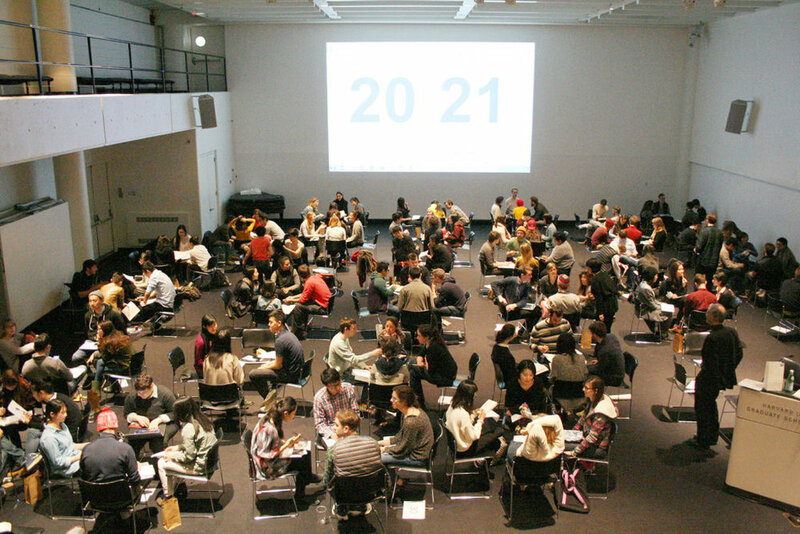 He participated in international urbanism workshops in Venice, Hong Kong, and Lagos, and Parson’s Design Workshops. He received a Master’s in Architecture from Parsons School of Design and a dual Bachelor’s in Biology & Psychology from the University of Houston. Frances is an established and trusted leader formerly as Vice- President of McCarthy’s Northern Pacific Division. Her visionary leadership has propelled the company forward as one of the largest commercial contracting firms in California. Frances launched her career in Architecture, where she developed an interest in the construction side of the business. As an industry expert, Frances is regularly called upon by local, trade and national media to address new and projected trends, and is considered a pioneer in advancing women in the construction field. 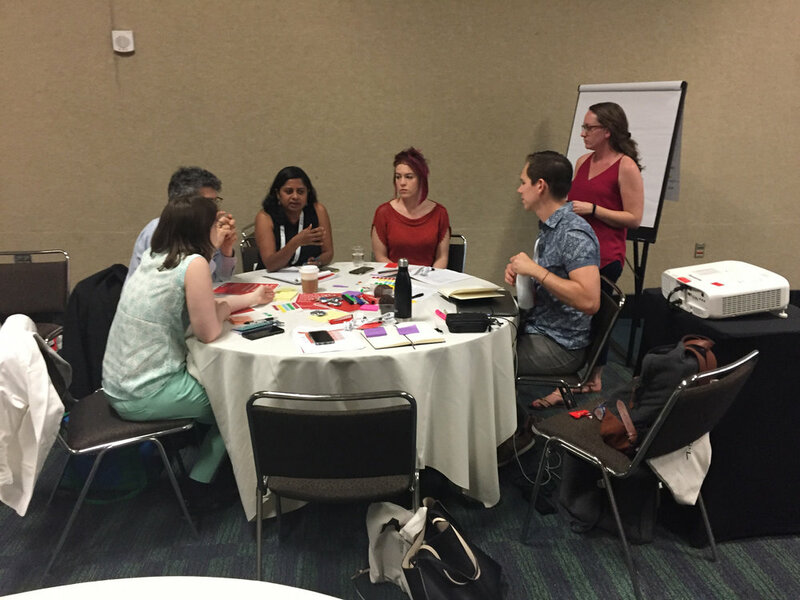 Frances was in the pioneering class of the Equity by Design's Hackathon at the AIA Convention in Atlanta. This year, her fervor for hacking continues and she will help us select a winner. As Partner at WRNS Studio, Lilian helps to lead the design process and build teams that deliver aspirational outcomes. In her role as Pacific Council Chair for SCUP, she organizes immersive experiences where the most pressing topics within Higher Education are brought to bear. As a Director of the AIA SF Board and Co-Chair of the Equity by Design Committee, she is engaged in a national conversation focused on equitable practices within the Architecture profession. Rosa is an architect with over 23 years experience, who has been involved in a variety of award-winning and internationally acclaimed projects, from the aesthetically minimal, highly technical development of the glass structures for Apple’s original high-profile retail stores, to the innovative and sustainable LEED NC Gold–certified Lorry I. Lokey Graduate School of Business at Mills College in Oakland, California. As founding chair of Equity by Design and President 2018 of AIA San Francisco, Sheng authored AIA National Resolution 15-1 in 2015, and served on the Equity in Architecture Commission in 2016. She has presented nationally and abroad including Boston, New York, Lisbon, Atlanta, Philadelphia, and Seattle. Equity by Design has been featured in Architect Magazine, Architectural Record, The Wall Street Journal, The New York Times, TEDxPhiladelphia and KQED/NPR. In the wake of #BlackLivesMatter, #MeToo, #TimesUp, and #NeverAgain, we see the power of shared collective experience to foster activism and create a movement for change. In this workshop we’ll consider the art of storytelling, both from a nuts-and-bolts structural perspective and in terms of its importance as a catalyst for change. Our stories differentiate us and can impact others. Storytelling is a skill onto itself, and memorable stories underlie activism and inspire action. In the context of career dynamics and pinch points identified in the 2016 EQxD survey findings, we will use the workshop framework to craft and share our stories. Patricia is an architect with over 23 years of experience and is a leader of Ratcliff's academic practice. For the past decade, she has focused on public higher education work, on a variety of project types including teaching labs, classrooms, libraries, and learning centers. Mom to Lucia (13) and Marco (10), Patricia is dedicated to creating academic environments that positively engage students and teachers and inspire curiosity and learning. She has taught at CCA and has served on the Board of Directors of the Architectural Foundation. She currently serves on the Board of Trustees at Park Day School in Oakland. Nancy has dedicated her 28-year career to designing beautiful, regionally appropriate, high-performance buildings. She has focused much of the last 15-years on outdoor education camps, interpretive centers and education facilities. Nancy has taught Design at the University of California, Davis and in the School of Architecture at the University of California, Berkeley. She has served on several Technical Advisory Groups creating or advising on green building standards, including the LEED-NC MRTAG, the LEED-H MRTASC, and the GreenPoint Rated system. Nancy is an Oakland native with a passion for maintaining the character and creative vitality of the Bay Area and ensuring that her teenage daughter lives in the ‘actual’ world. Beth is a registered architect with over 17 years of experience in a wide array of project types. She has a particular interest in projects that give back to the community. An avid traveler, Beth recently completed her goal of visiting all 50 states. In late 2014, she relocated to California from the East Coast to be closer to family. She studied at Princeton University and the University of Virginia. Jessica is a licensed architect with over six years of experience. She has worked on a range of projects: from research labs to hospitals, libraries to office renovations. Jessica has a passion for sustainable design and community-based design. She likes to get the perspective of people outside of architecture – they challenge her to look at things in a different way, and she finds that incorporating these perspectives helps her understand how to move the industry forward. Equity by Design is pleased to announce that Rosa Sheng, AIA, LEED AP BD+C will be the 2018 Convocation Speaker for the Syracuse University School of Architecture. Rosa Sheng, AIASF President and Founder of Equity by Design and Frances Choun, past AIASF Board Officer, former VP of McCarthy Building Companies and Equity by Design Champion will be speaking about the results from the 2016 Equity in Architecture Survey, as well as information about the 2018 survey. This will frame the discussion on how Architecture and professional practice can remain relevant, provide meaningful engagement and better design outcomes for the communities we serve. All work and no play makes for dull professionals they say! Kicking off 2018 with our first lecture at Roger Williams University School of Architecture, Art and Historic Preservation. Rosa Sheng, AIA LEED APBD+C, a Principal at SmithGroupJJR and AIASF President for 2018 will share her thoughts on "Why Equity Matters for Everyone: A new value proposition for Design", with key anecdotes and survey findings from the 2016 Equity in Architecture Survey that will frame the discussion on how Architecture and professional practice can remain relevant, provide meaningful engagement and better design outcomes for the communities we serve. Please join us for our first EQxD meeting in Oakland! 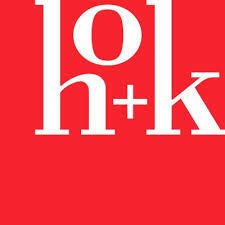 Thursday, January 18 @ HKIT Architects, 538 9th St #240, Oakland, CA 94607. Please RSVP. HERE. We’ll be giving an overview of our 2018 EQiA Survey and EQxD Symposium and discussing ideas and planning for the Symposium. Come share your ideas and let us know how you would like to be involved with EQxD in 2018. Lessons Learned from 2014-2017 - What worked? What didn't? What would you like to see included this time around? What kind of new experiences should we consider? Festive holiday lunch generously hosted by WRNS Studio, please bring dessert or beverage to share! THANK YOU TO SPONSORS, VOLUNTEERS AND LEADERS! * Lessons Learned from 2014-2017 - What worked? What didn't? * What would you like to see included this time around? * What kind of new experiences should we consider? UPDATE -THE EQxD SYMPOSIUM PLANNING MEETING IS POSTPONED TO DECEMBER 14 due to low RSVP. APOLOGIES for those that planned to attend - Please be on the look out for the new RSVP for 12/14 shortly. Please save the date for October 19, 2017 at AIASF where we will discuss our 2018 EQxD Program Initiatives w/ a deep dive focus on the Equity in Architecture Survey 2018. We are looking for volunteers of all levels to help w/ the EQiA Survey 2018. Please join us to find out more on how you can help us advance our research initiatives. From navigating day to day work/life challenges to mapping strategic career goals, charting your professional development, assessing periodically, and correcting your course can increase the likelihood for sustainable career satisfaction and success. During this quarter's workshop, you will gain insight from architect leaders who have used career mapping tools to navigate goals, options and challenges within their own career trajectory. You will learn and apply tools for strategic goal setting in your professional development as well as techniques/ideas for the immediate challenges of reconciling work/life conflicts which have more impact than you think. Working together, participants will map these macro and micro career mapping approaches highlighting connections between individual goals, prioritizing in both personal and professional contexts for realizing a rewarding and positive results. Join us at AIASF on Thursday August 17th. Light Food & Beverages will be provided. 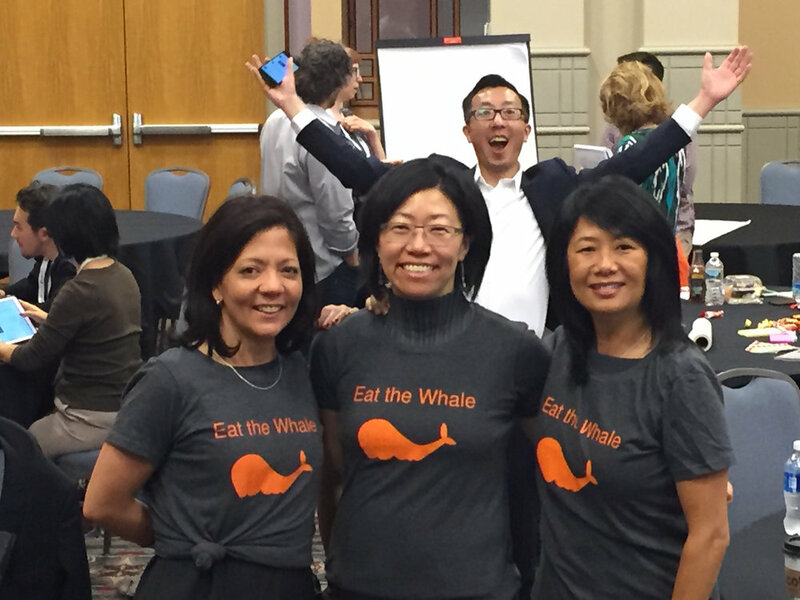 Meet the Career Mapping Mavens! Jill is a Principal at HDR, and a leader in healthcare facility design. Jill holds her architecture licensed in California and is an ACHA board certified healthcare architect; and that is a good thing because she tried and failed at a career in standup comedy. Her background is all healthcare projects, mostly large firms, mostly large projects, mostly medical planning. She attended Clemson University for both her BA in Design and M.Arch, Architecture + Health program. She believes architectural design is a team sport; that hospitals are small magical cities; a short, well run meeting is a thing of beauty; and the intersection of data and buildings will grow exponentially in the next few years. In her past, she has taught residencies with the bay area LEAP Architects in School program, served on the AIA San Francisco Board of Directors, the AIA Academy of Architecture for Health National Board of Directors, chaired the Scholarships and Fellowships Committee for the AIA/Academy of Architecture for Health. Lilian values a firm culture that embraces collaboration, connection to the community, risk taking and fostering talent. As an Associate and Project Director for WRNS Studio’s San Francisco office, she helps lead the design process and build teams that deliver aspirational outcomes. Lilian attended the University of California, Berkeley and graduated with honors. After completing her studies, Lilian worked at architecture firms around the Bay Area, including Stanley Saitowitz, the City of San Francisco’s Bureau of Architecture, SOM and NBBJ. A leader within the Society for College and University Planning (SCUP), she organized the first-ever Hackathon for MOOC’s as part of the Pacific Regional Conference and continues her involvement with the organization as Council Program Chair. Lilian also acts as Co-Chair of AIA San Francisco’s Equity by Design, a call to action for both women and men to realize the goal of equitable practice and communicate the value of design to society. Annelise Pitts is a designer with Bohlin Cywinski Jackson in San Francisco, CA. In her design work, she has collaborated with clients and interdisciplinary design teams on programmatically complex design and planning projects. Recent projects include the UC Davis Large Lecture Hall, and campus planning for Dominican University of California. As a member of the Equity by Design core team, and the group’s current research chair, she is responsible for the development and oversight of the Equity in Architecture Research Project. She looks forward to sharing the results of the 2016 survey at this year’s symposium. Annelise spends her time outside of work exploring California’s ski mountains, running and hiking trails, and traveling with her husband. Participants will be able to analyze data from career dynamics survey results, identify issues and frame problem statements related to pinch points in career dynamics. Participants will determine how to identify resources and prioritize workflow into immediate, short-term and long-term milestones. Participants will assess work/life conflicts and learn strategies to better navigate challenges in their professional and personal lives. This year, EQxD will be featuring Quarterly Topics for deep dive rumination, discussion and action! Quarter 2 Topic for Discussion: Articulating your Values and is worth 1.5 AIA LU. How do the industry’s most influential change agents move from identifying a problem to making a lasting impact? Workshop participants will be invited to learn from the experiences of thought leaders who have shifted the status quo in their work within the urban context of San Francisco and the Bay Area. These leaders will guide participants through tools and techniques while offering them an opportunity to put those skills into practice in a hands-on workshop. Attendees will develop a framework of steps: how to frame a problem, engage others to ideate and find solutions, and leverage networks to implement change as a Call to Action for desired, transformational outcomes. Garrett’s architectural journey began in post Katrina New Orleans. 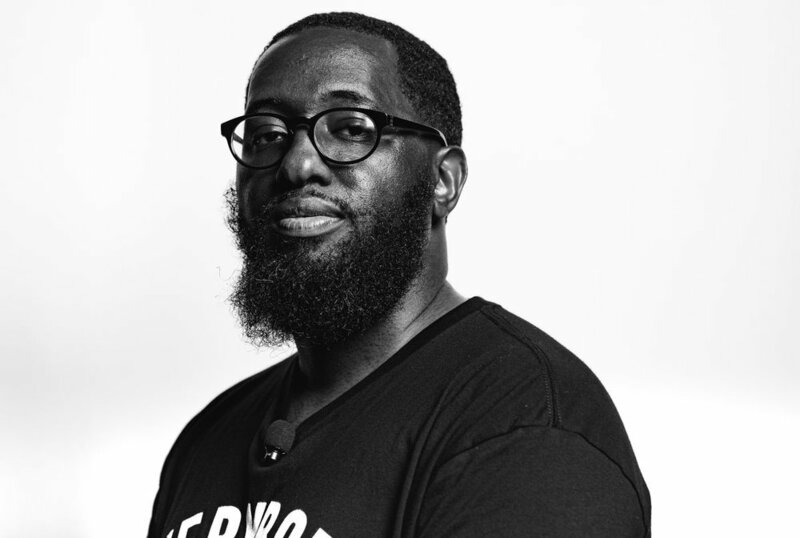 With a passion for social justice and connecting people, Garrett focuses his energy on organizing the allied design professions in reflective community work. He has over six years of organizing experience from community design build projects, to running an international network of volunteer chapters, and even a national network of municipal civic technologists. Garrett led the reorganization of the Architecture for Humanity Chapter Network and is currently the founding Executive Director of the Open Architecture Collaborative working to inspire, rally and support designers to challenge the status quo of design services. Maia Small is a Senior Planner Architect at the San Francisco Planning Department where she leads the design review team and provides architectural expertise in the development of building form, open space, and policy in long-range planning. Maia was a partner in Thurlow Small Architecture from 2006 to 2013 where she designed and managed architecture and urban design projects for commercial, institutional and municipal clients. Prior to her private practice, she worked for Bernard Tschumi Architects in New York and Mark Cavagnero Associates in San Francisco. Maia completed her Master of Architecture at the Columbia University Graduate School of Architecture, Planning and Preservation and her Bachelor of Arts in Architecture at the University of California, Berkeley. She has also taught architecture at Harvard University, the Massachusetts Institute of Technology, the Rhode Island School of Design, and the University of Tennessee. Jennifer Jones, MS, CAE, IOM serves as Executive Director of AIA San Francisco (AIASF), one of the largest AIA Chapters in the nation representing 2,200+ members in San Francisco and Marin County. As executive director, her core responsibilities relate to long‐term organizational stability and success of AIASF, which includes establishing and maintaining internal and external partnerships, guiding strategic planning, formulating policy, and leading administration in the interest of architect and allied professional membership. Jenn has an MS in Public Service & Nonprofit Management from DePaul University, and was a 2006 DePaul Public Service Fellow. Jenn has been honored for her accomplishments in association management by PR Newswire, Association of Media & Publishing, International Association of Business Communicators, and Association TRENDS. She is currently managing the Friends of Harvey Milk Design Competition for rethinking the use of the historic plaza in the Castro District. Using examples shared by session leaders and question prompts participants will developmethods for engaging others to find solutions to identified problems. Participants will propose a quantifiable solution to identified problem or opportunity, and develop actionable steps for implementation of solutions in a larger scale. Join us in Orlando, Florida for A'17 Conference on Architecture at EQxD Curated Collection's Premier event. We are bringing the Equity in Architecture Survey Findings and Actions to share with our national colleagues. Equity is the ethos of our work. It is the ability to recognize differences and provide fair access to opportunities. At this session, you'll review the results of the most comprehensive research on equity in architecture. You'll leave with strategies that promote equity via professional development and grassroots organizational change. As you'll see, it's in your firm's best interest. Equitable practice promotes the recruitment and retention of the most diverse talent while also building stronger, successful, sustainable practices. Using findings from AIA San Francisco's (AIASF's) 2016 Equity in Architecture Survey, you'll develop targeted strategies for promoting equity at various career milestones. Experience the power of action by committing to change as an individual, as part of your firm, and beyond. We are pleased to announce the location of our 2017 EQxD Hackathon Happy Hour on Wednesday, April 26, 2017 (5:30-7:30pm) at Cuba Libre, walking distance from the Orlando Convention Center . After the A'17 Conference Workshop [WE304] EQxD Hackathon: Architecture And the Era of Connections (Wednesday April 26, 1-5pm) we will have a recap of the workshop, and jury results of the winners along with a networking reception to catch up with Hackathon alumni from Atlanta, Philadelphia and AIA EQxD Champions. If you can't join us for the EQxD Hackathon from 1-5pm on 4/26, but want to join the fun for the #EQxDHack17 Recap and Happy Hour Networking Reception, you can register for this event separately. Registration includes 2 drink tickets and the mouth watering appetizers of the popular Cuban inspired cuisine of Cuba Libre. Join us Wednesday, April 26 1-5pm at the AIA Conference on Architecture [A'17] in Orlando, Florida for [W304] EQxD Hackathon: Architecture and the Era of Connection (and Disruption). One of the most unique and talked-about pre-conference workshops, we have developed a reputation within the Conference for developing a game changing learning experience that has yet to be rivaled. In it's third year, we celebrate the chance to tinker, ideate and hack at the intersection of design, technology, and equitable practice. We have also fine tuned our "UX" aka User Experience by engaging with the teams before during and after the event to make it the best participant engagement event at A'17 - Conference on Architecture. The day will begin with a diverse panel of industry leaders and entrepreneurs discussing future architectural opportunities in the new digital economy. Once you're inspired, the "mini-hackathon" format will let you develop a real plan of action for creating a positive impact on the profession. You’ll leverage your design thinking skills to rapidly prototype radical, actionable initiatives and explore future business models for the architecture profession. You will be grouped in teams to "Hack" a problem that you have defined. At the end of the session, each group will present an "Elevator Pitch" to the Jurors. 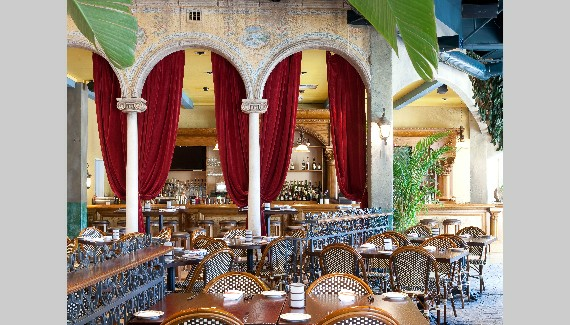 After the official workshop, the fun continues at Cuba Libre for #EQxDHack17 Happy Hour 5:30-7:30pm a few blocks away to network, recap and announce the winning team! Join us for a new EQxD Hackathon and explore the intersection of design and tech. The day will begin with a diverse panel of industry leaders and entrepreneurs discussing future architectural opportunities in the new digital economy. Once you're inspired, the "mini-hackathon" format will let you develop a real plan of action for creating a positive impact on the profession. You can get a sense of the #EQxDHack17 by checking out the past 2 year's events. THANK YOU 2017 EQXD HACKATHON SPONSORS! Join us for our Spring Time Monthly Meeting @ WRNS Studio (501 2nd Street #402, SF)! Lunch will be provided thanks to our generous hosts at WRNS. Please RSVP by 3/13, noon. The topics of equity and diversity are being widely discussed within the profession of architecture as firms and practitioners struggle with acquiring and retaining talent. 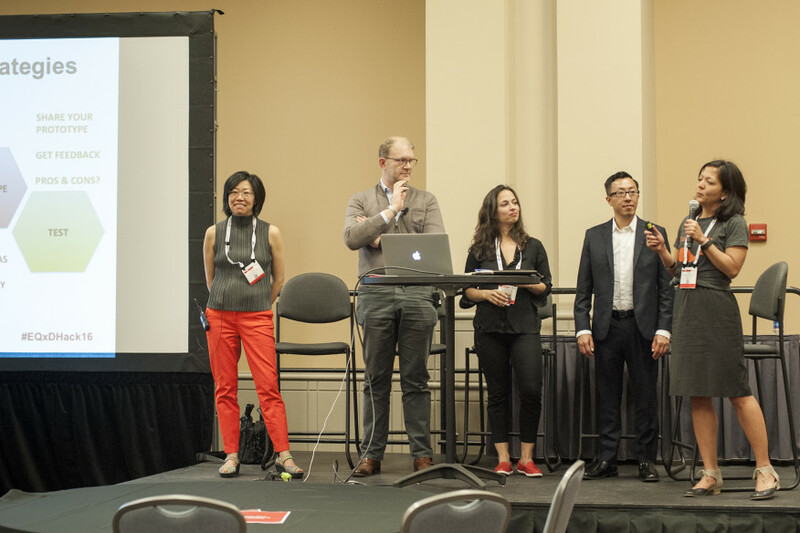 At a time when action is needed to respond to changing demographics, the Equity in Architecture Survey, led by Rosa Sheng, AIA, provides insights to the state of professional practice and begins a conversation about the value of equity to architects. To date, this national survey is the largest and most comprehensive study on the topic of talent retention within architecture. The Beverly Willis Architecture Foundation (BWAF) is pleased to announce that it will host its annual Leadership Awards Gala honoring six firms and individuals on Thursday, March 2, 2017 from 6:00 PM to 9:00 PM at the Prince George Ballroom, 15 East 27th Street in New York City. Guests will enjoy gourmet food items, cocktails and music throughout the evening while networking with fellow industry professionals. For more information or to register, please email Cynthia Kracauer at ckracauer@bwaf.com or (212) 577-1200. The Beverly Willis Architecture foundation (BWAF) is working to change the culture of the building industry so that women’s work, whether in contemporary practices or historical narratives, is acknowledged, respected and valued. 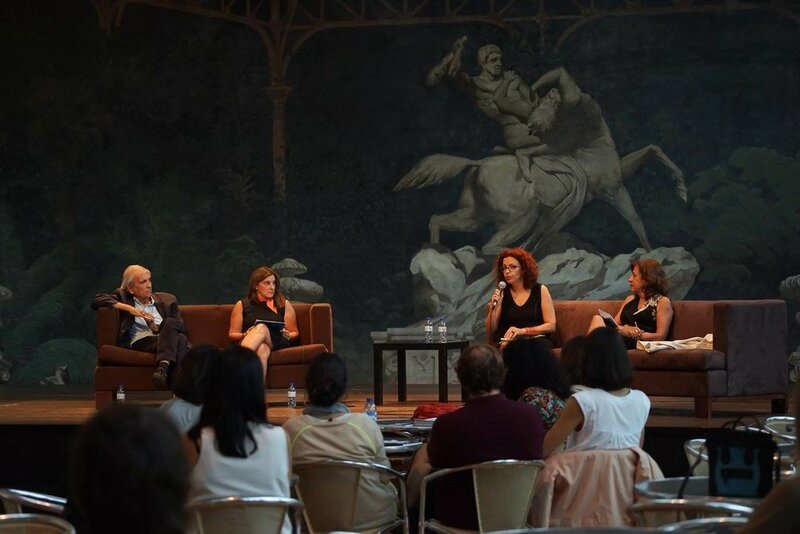 BWAF achieves its mission by documenting women’s work, educating the public and transforming industry practice through collaborations with museums, professional organizations and other groups in the areas of architecture, design, landscape, engineering, technology, real estate and construction. BWAF is a national research and educational non-profit 501(c) (3) organization. BWAF’s core programs include education, historical and contemporary research, and outreach. BWAF’s programs and initiatives include Built by Women (BxW), which promotes a greater understanding of the diverse and broad roles of women in shaping the spaces where we live and work, museum programs, films and tours, the industry Leader’s Roundtable, and other collaborations, all of which support the many women working in the built environment. Help celebrate Women’s History Month by writing at least one woman architect, designer or someone involved in the built environment into wikipedia. Participate with us! If you will be in NYC on March 30, we will be hosting a writing workshop. Or you can write anytime in March using this guide provided by Parlour. This year, EQxD will be featuring Quarterly Topics for deep dive rumination, discussion and action! 2017 EQxD Chair Julia Mandell, AIA will be the moderator of the panel with a fresh roster of panelists to provide diverse insights on how to Disrupt Implicit Bias in their work. Rosa Sheng, AIA will provide a brief intro to topic to get things started. We would like to take this opportunity to Thank all our EQxD Sponsors, Symposium Volunteers, Facilitators and Thought Leaders. Please join us if you are available for a special appreciation luncheon and last meeting of the year on Thursday, December 15 from 12:30pm - 2pm at AIASF 130 Sutter Street. The Berkeley City Club Conservancy is presenting an exciting lecture series featuring Bay Area design leaders whose work promotes sustainability, historic revitalization and urban planning. Proceeds from the lecture series will help the preservation of the Berkeley City Club building. All lectures begin at 7:30 PM at the Berkeley City Club, 2315 Durant Ave., Berkeley. Series tickets are available for $50, only through Eventbrite. Individual tickets through Eventbrite or at the door for $15 each. SEPTEMBER 22: Ellen Lou "Designing Cities, A Global Challenge"
OCTOBER 13: Laura Hartman "Inside / Out, Outside/ In—Collaboration with Landscape in the Work of Fernau & Hartman Architects"
OCTOBER 27: Marsha Maytum "Architecture as a Catalyst for Change"
NOVEMBER 9: Allison Williams "Design Intent"